Dont miss this unbeatable gem! 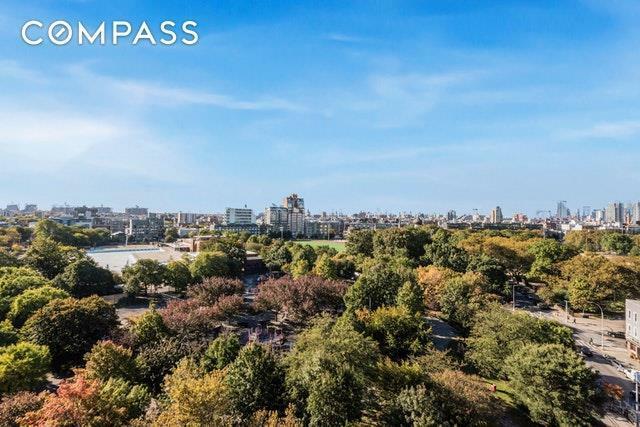 A short-walk across from trendy Williamsburg, in an idyllic, grassy section of Greenpoint you will find Manhattan Park: a sleek, modern, condo building with jaw-dropping rooftop views of the NYC skyline. Located right across from McCarren Park, this boutique building is central to a thriving scene. There are endless options for restaurants, bars, coffee shops, art & cultural events, live music, shopping, public events, and general amenities at your doorstep! 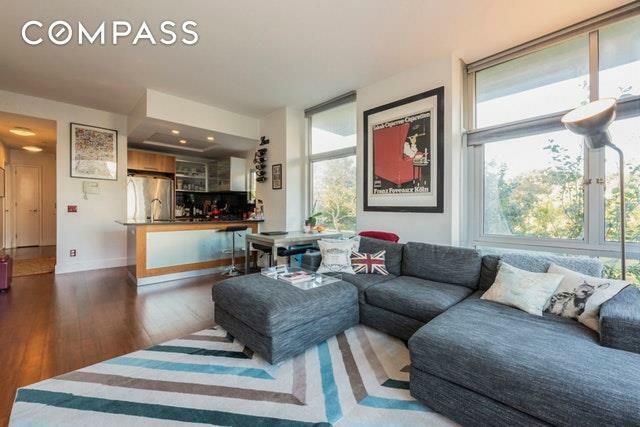 This 2-bed gem has 4 total exposures--providing plenty of natural light for a daily dose of sunshine. The light-filled living space boasts an efficient layout that guarantees the utmost luxury, convenience and comfort for its residents. Have a car? Deeded parking is available for additional purchase. An incredible value for the price, with LOW MONTHLIES and TAX ABATEMENT until 2023. 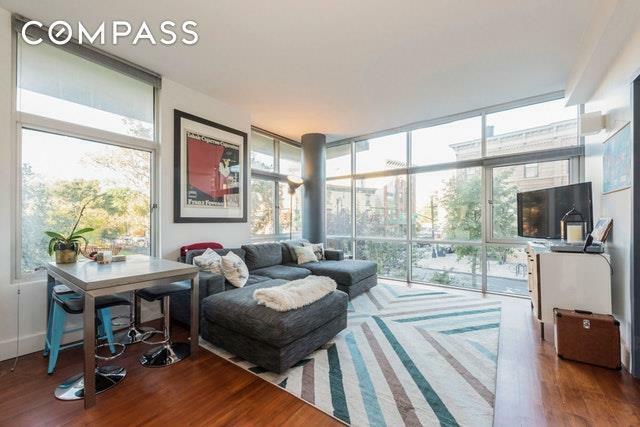 The living room features soundproof, floor-to-ceiling windows with direct views of McCarren Park, and connects to an open kitchen with black granite countertops & backsplash. The kitchen which also showcases a floor-to-ceiling window, offering beautiful park views, is equipped with the highest quality Jenn-Air and GE profile stainless steel appliances. Each bedroom has ample space for Queen/King size beds, plenty of closet space, and large windows with park and sky views. Additionally, the condo offers a private balcony off the 2nd bedroom where youll be able to fully enjoy the neighborhood views while you sit, sunbathe and relax. The bathroom is equipped with an oversized mirror and top-of-the-line fixtures, including a newly replaced sink, a deep Zuma bathtub, glass vanity and shelf, a Japanese Toto toilet and an over-sized, privacy-glass window. Ultimate NYC luxury dictates a Washer/Dryer in unit and as such this condo does not disappoint. Moreover, the condo features recent upgrades including refinished Hardwood Floors, and space-saving, energy-efficient Mitsubishi Heating/Cooling system with individual temperature controls in each room. More about the neighborhood: This building straddles the border of North Williamsburg and Greenpoint. The epicenter of hip culture! 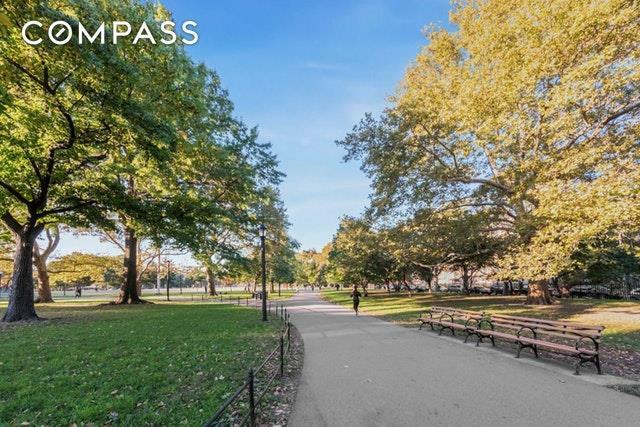 McCarren Park- A 35-acre landmark park, and vital public space to residents, is located DIRECTLY ACROSS THE STREET. It features a public Swimming Pool, Gym, multiple dog parks, skate park, Playing fields for Soccer, Football, Ultimate frisbee, Baseball, Softball, Kickball, you name it....and, of course a FARMER's MARKET on Saturdays nearly year-round. If you prefer something a little different, McGolrick park is also just a few blocks away, with its own charm and character for the more seasoned Greenpoint resident. It has its own Farmer's market and is currently undergoing a major improvement project that should invigorate it's appeal.